Wireless alarm signal forwarding of connected alarm & fire alarm centers to the dispatching centre by our communicators in Contact ID (CID) format. Due to this reliable, safety solution you’ll win a cost-effective and overall system. There you can provide and maintain a trustful safety service. It is especially offered for safety & fire alarm dispatcher centers. The wireless alarm transmission is performed via CDMA / 2G / 3G / LTE 4G / LTE-M / Narrow Band mobile network (by order). 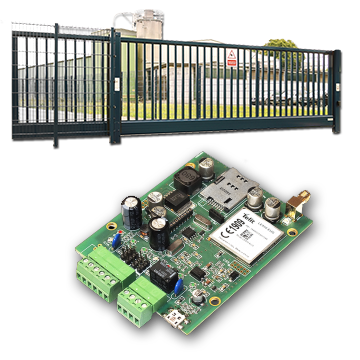 Capable of using as alarm & fire center transmitting system or as a standalone alarm system – without dispatching fee – to transmit the signals of safety sensors and the status of external devices to an IP address. Monitoring of life signals, device status. Immediate alarm notifications (SMS, voice) to the Customer/Dispatcher. The current status, events, alarms or outages can be seen in the displaying system or the dispatching software. The communicator has output connection(s) for the control of the external devices (e.g. gate opening, remote control). Expandable to 8 IN, 4 OUT. You can also increase the level of protection (by adding our panic button, wireless sensors). The purpose of our visual safety observation is to increase the level of security and the functionality of an existing security system (for home, business or surveillance of remote installations). Provide fast transmitting of high quality image and video streams (via 4G LTE mobile network) by our wireless router. The dispatcher center or the Customer is receiving live images of the assured location that will be provided by the connected cameras (cable or wireless IP camera types can be also applied). The visual surveillance solution is expandable and to be combined with security sensors – PIR motion, door, fire, smoke, etc . (In case of movement detection or occuring an alarm event, the current images and stream of the live situation will be sent immediately to the center and there will be also recorded). 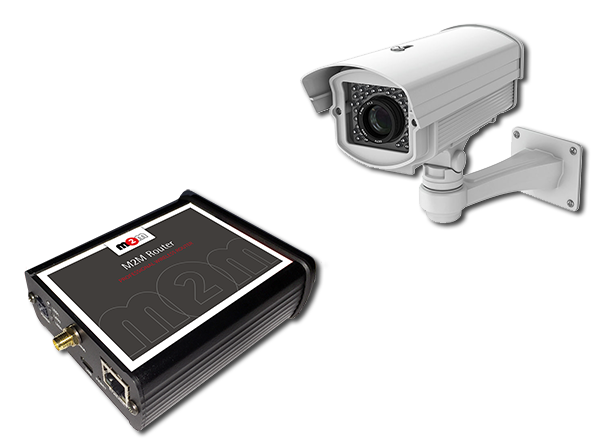 A DVR device can also be used in the system to record images and videos. The alarm system is monitored continuously from the dispatcher center. Secure and reliable solution. Therefore it is possible to store the visual recordings locally on the mobile router – in case of offline operation, or use the FTP service on the router to transfer image data to a server – due to that the it has the ability to provide 4G LTE high-speed channel for transmitting streams. In case of loss of IP connection or cable cut, the wireless router will be use a secondary communication channel. Our signal transmitter communicator can receive the incoming sensor signals of 2 input lines and transmit the input changes by wireless network to a remote IP address. Over this feature, the same device is capable of remote control of the output line. With its equipped relais, it can switch and control an external device (e.g. engine, barrier, complete gate system). We have developed a special software for gate control and client management for hotels, parking garages, motels. You can limit the entry for the authorized persons only and make it easier for your clients! The remote control can be initiated almost realtime via mobile internet (phone or mobile app) or by a phone call/ringing, computer or due to an SMS text. The device will performing the open/close of the gate or barrier only from the validated devices, phone numbers – and also by manually. The clients and the operation can be also manageable from a free client software. The current life signals and output status of the gate system can be checked anytime from the mobile app, SMS text. The wireless control is operating through the CDMA/2G/3G/LTE 4G/LTE-M/Narrow Band mobile network (module order options).